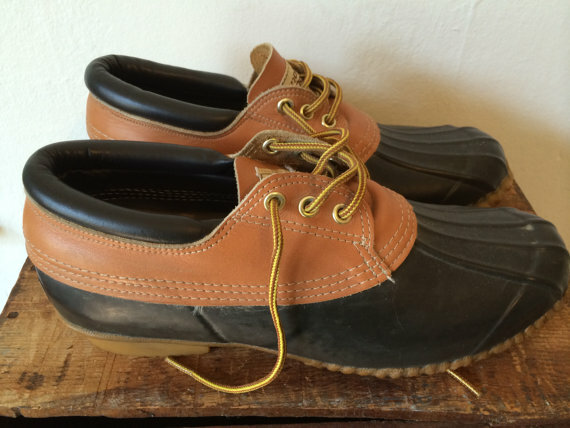 There are classic Bean Boots, sure. For a deeper cut there's Schnee's out of Bozeman, Montana—a personal favorite. 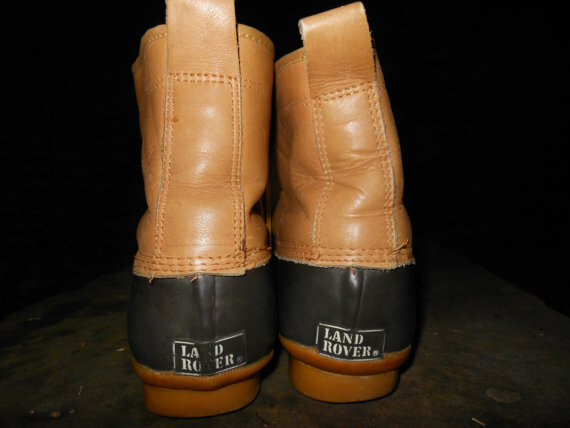 But if you're the type that gets off having the rarest, hardest to find, most esoteric of foul weather boots, then you may be interested in a pair of vintage (80s probably) Land Rover branded duck boots. 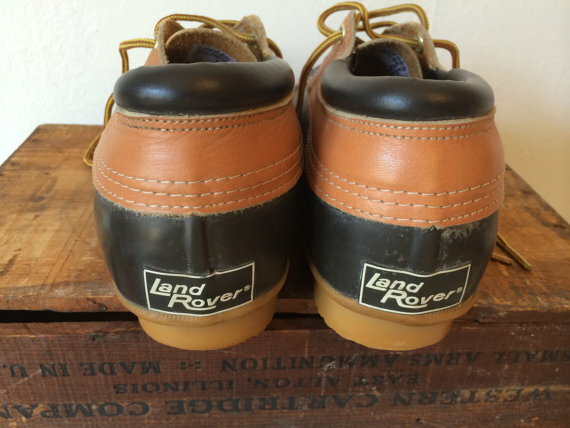 Available on Etsy, eBay, and beyond, the boots are just as rugged and good looking as their namesake vehicles, and come in a variety of shapes and styles, but are of course, a much more fuel efficient way to own a pair of Land Rovers. 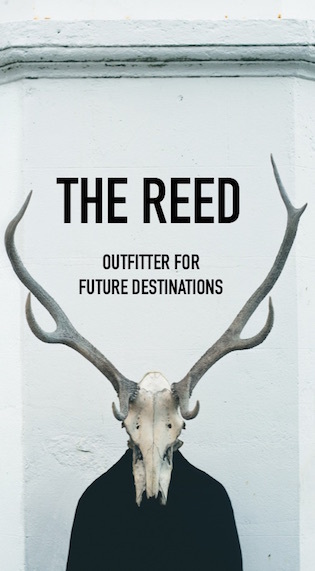 Happy hunting, my friends. 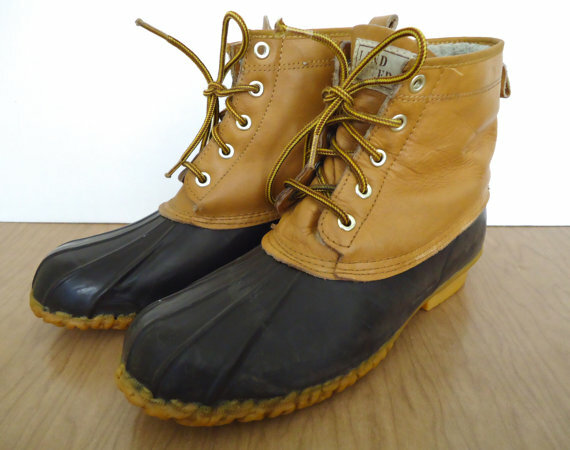 I had a pair of Chris Craft shortie duck boots in the 80's and wore them until they had holes in the soles. 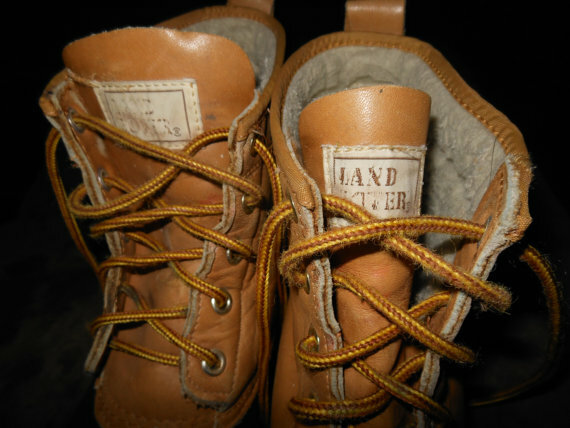 I tried to see if LL Bean would repair them but no luck so I bought a pair of Bean Boots which I also wore into the ground but just had resoled in time for this winter. Nothing is better for winter!